Fri., Aug. 3, 2018, 11:02 a.m.
Leave it to Terrell Owens to choose to become the first person to celebrate being inducted into the Pro Football Hall of Fame somewhere other than at the Canton, Ohio shrine. The receiver who provided so many exhilarating and exasperating moments during one of the NFL’s most prolific careers is about 600 miles away from Canton this weekend. Hours before the other inductees are honored, Owens will give his own acceptance speech at Chattanooga , where he played college football and basketball and ran track. Owens announced on Twitter in June that, while “incredibly appreciative,” he wouldn’t attend the induction ceremony. Owens never shared his reasons for staying away. Less than a month later, Owens again used social media to say he’d hold his own induction ceremony in Chattanooga. “Getcha popcorn ready!” wrote the man who once celebrated a touchdown with popcorn. Chattanooga remains a place where Owens is loved for what he accomplished well before becoming an NFL star. 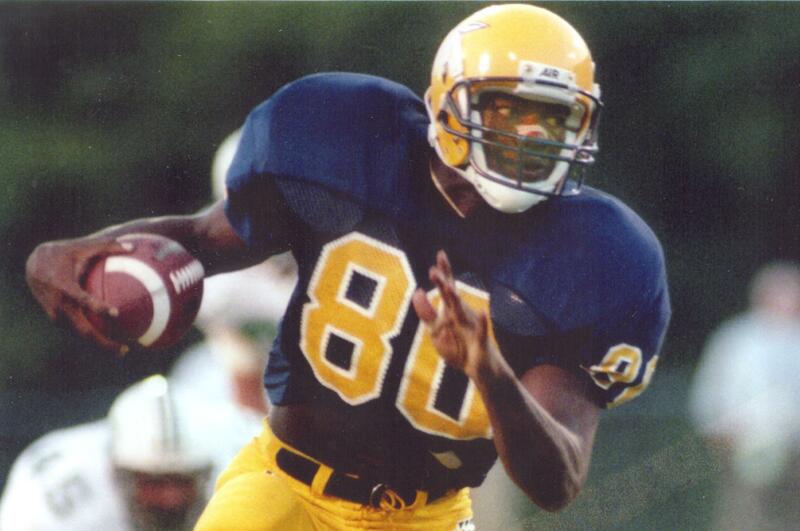 Owens had 2,320 career yards receiving in college and also played basketball on two NCAA Tournament teams before the San Francisco 49ers selected him in the third round of the 1996 draft. In the NFL, Owens strung together numerous antics – posing on the Dallas Cowboys’ star logo at midfield, engaging in sideline tirades – with five teams over 15 seasons. But his college coaches marveled at his work ethic and considered him fun to coach. Mack McCarthy coached Chattanooga basketball during Owens’ years on campus and remembers a guy who could come off the bench and defend at any position. Owens has a busy weekend planned for his return to campus. He spoke to Chattanooga’s current student-athletes Friday morning and also took 35 area youths on a shopping spree . Athletic director Mark Wharton said the school will have a private dinner for him Friday night and estimates about 2,000 people will gather at McKenzie Arena for Owens’ induction speech Saturday afternoon. Plans to celebrate Owens’ Hall of Fame career in Chattanooga had been in the works since March. That’s when Wharton attended Owens’ induction into the Alabama Sports Hall of Fame and heard some of the receiver’s stories from his college days for over an hour. Owens’ decision to avoid Canton has been called a mistake by Dallas Cowboys owner Jerry Jones, Owens’ former boss who was inducted into the Hall of Famer last year. Several former players and Hall of Famers also have criticized Owens. The Pro Football Hall of Fame still will honor Owens as part of the weekend festivities. Owens, who ranks second in NFL history in career yards receiving (15,934) and third in touchdown catches (153) , will be part of the 2018 class exhibit with his picture on a light standard at Tom Benson Hall of Fame Stadium and his own glass locker. Hall of Fame President David Baker called Owens’ decision unprecedented and disappointing . Owens has never wavered. He retweeted someone who noted any message he provides in his induction speech would be heard by many more people in Canton rather than Chattanooga. Published: Aug. 3, 2018, 11:02 a.m.